Alzheimer’s disease, the most common form of dementia, is the sixth leading cause of death in the United States, afflicting approximately 5.5 million Americans in 2017. As the American population continues to live longer, the prevalence of Alzheimer’s disease and other dementias is expected to increase. 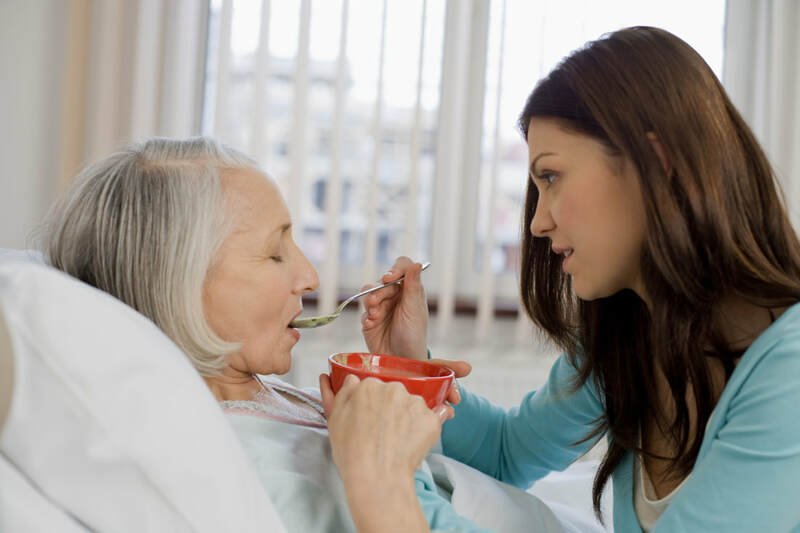 In many cases, dementia leads to serious nutritional problems as patients become unable to normally consume adequate nutrients, often due to swallowing impairments and loss of appetite. Ultimately, patients usually experience weight loss, malnutrition, and dehydration. Dr. Douglas' research focuses on interventions to improve nutritional status and quality of life among older adults with dementia. Research suggests that feeding tubes should not be used to provide nutrition and hydration to older adults with dementia. However, approximately one third of nursing home patients with dementia have a feeding tube. Dr. Douglas's team is researching personal and organizational factors that make health care team members more likely to recommend feeding tube placement in this patient population. Dr. Douglas is working to develop, implement, and evaluate an interdisciplinary training program to teach members of the health care team how to provide feeding assistance to older adults with dementia. In the first step of this project, Dr. Douglas is leading a qualitative research project in 2018 to identify barriers to hand-feeding patients with dementia by conducting focus groups with Certified Nursing Assistants in Alabama nursing homes.